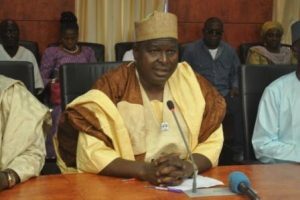 The Director – General of the National Council for Arts and Culture (NCAC), Otunba Olusegun Runsewe has commended the Lagos State House of Assembly for passing a Bill making Yoruba Language compulsory in Lagos schools. In a statement in Abuja, Runsewe said that if given assent by the State Governor, it will greatly enhance the proficiency of youths in Lagos in the use of Yoruba Language. “Our language is the primary vehicle for our cultural expression and identity as a people and to abandon our language is to endanger our cultural heritage”. Runsewe said. The NCAC boss pointed out that many indigenous languages in Nigeria re today facing the danger of extinction because the family and the educational institutions have relegated our indigenous languages to the background. Runsewe stated that the bold step taken by Lagos State will not only restore the dignity of Yoruba language, but will also engender academic scholarship in the language and make teaching and learning a lot easier.